Always faster, Always unlimited, We are here! Up to 500 times faster Internet. No rental fees, or hidden fees of any kind. Just select the plan that suits you best. Download as much as you want. No more worries about how much data you're using. We don't throttle your bandwidth or put caps on how much data you can use. Independent fibre infrastructure and ISP powered with professional support. It's time to Upgrade your home with fibre! 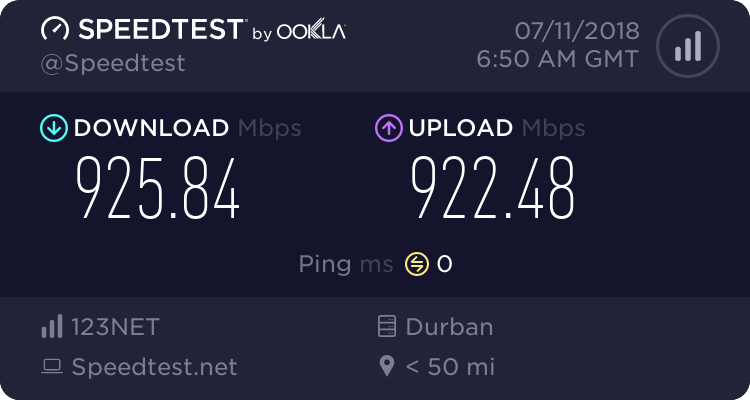 123NET fibre comes with a connection that's up to 500 times faster than today's basic broadband speeds in South Africa. Lightning downloads. Amazing TV experience. Unlimited. Can you handle it? The fastest speeds are achieved with a cable connection, but you can also get online wirelessly using a Wifi Router. We offer different models, compatible the latest standards (802.11a/b/g/n/ac). With 123NET fiber you can get crystal-clear HD, hundreds of channels, thousands of shows, that are available on the streaming platforms Netflix, Showmax, DSTV etc. Get a brand new phone system free of charge, unlimited nationwide calling and affordable international rates. Port numbers from Telkom/any other carrier. Numbers available for any are code in SA. You can route calls to ring your landline or your cell phone, and have your voicemails sent by email. Our plans are suited to your own needs.